Sequel UK welcomed retail partners, journalists and influencers to London last week to unveil the AW18 watch collections from Guess and Gc. The East London venue was hard to miss thanks to a Graffiti mural that aimed to bring a taste of Guess’ home city of Los Angeles to the gathering. 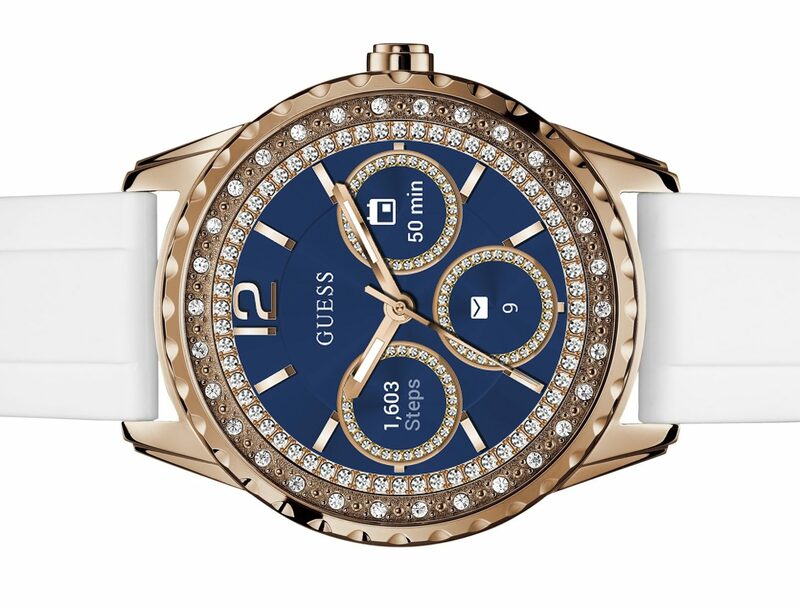 Highlights of the Guess range include a six-strong watch collection of contactless payment watches that launches later this year, in partnership with Barclays bPay. 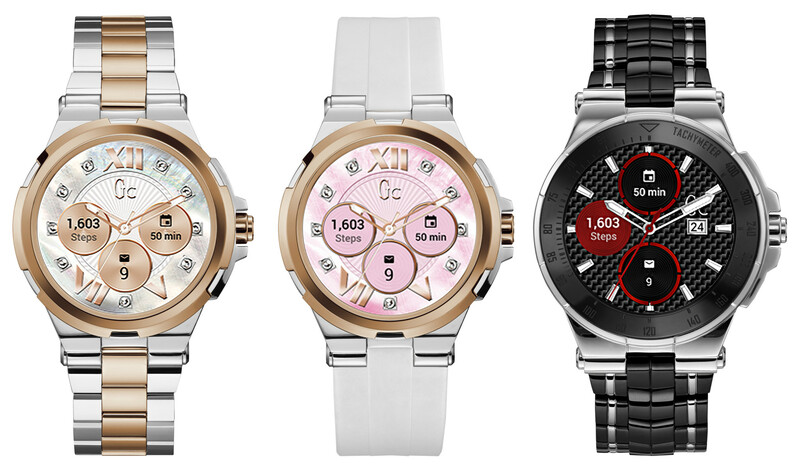 The contactless payment chip is embedded into silicon or leather straps, leaving the watches clear to make more of a fashion statement. 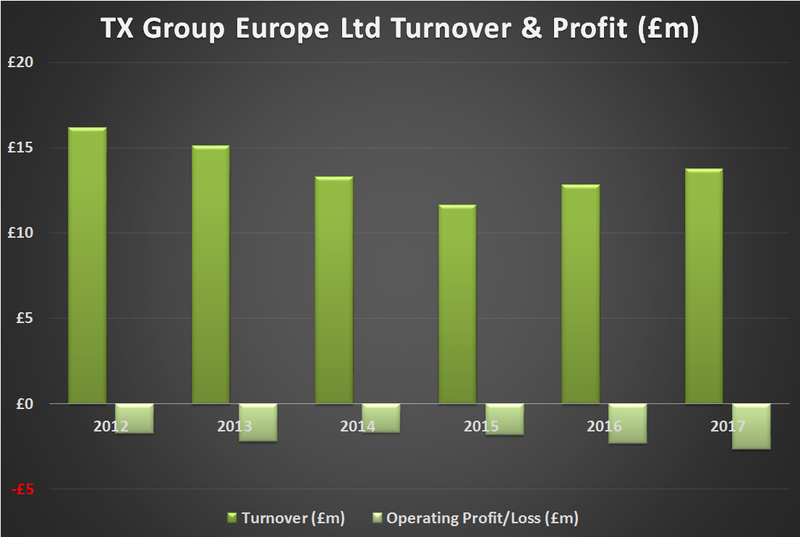 “We are really excited about this collaboration and this will bring another dimension to our range of products, where fashion meets lifestyle functionality,” says Paul Martin, managing director, Sequel UK Guess Watches. 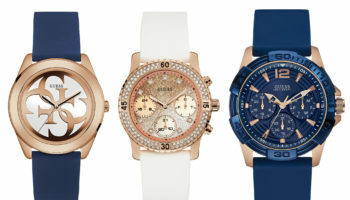 Mesh continues to be a strong story for Guess, with a new range of vintage-inspired two-tone styles set to launch ahead of Christmas. 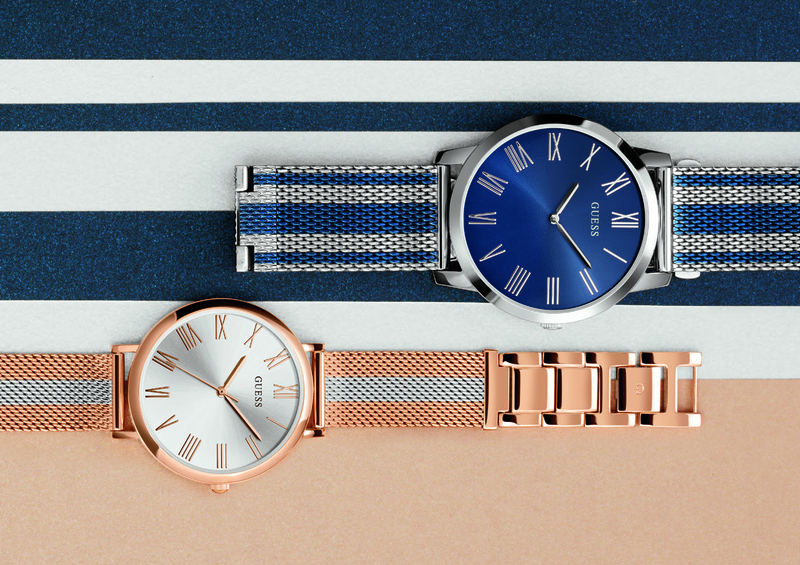 Slim, round cases of 38mm for her and 44mm for him, are paired with sunray dials featuring roman numeral details in rose gold and silver for her, and for him: silver & navy blue and gold, silver and black. 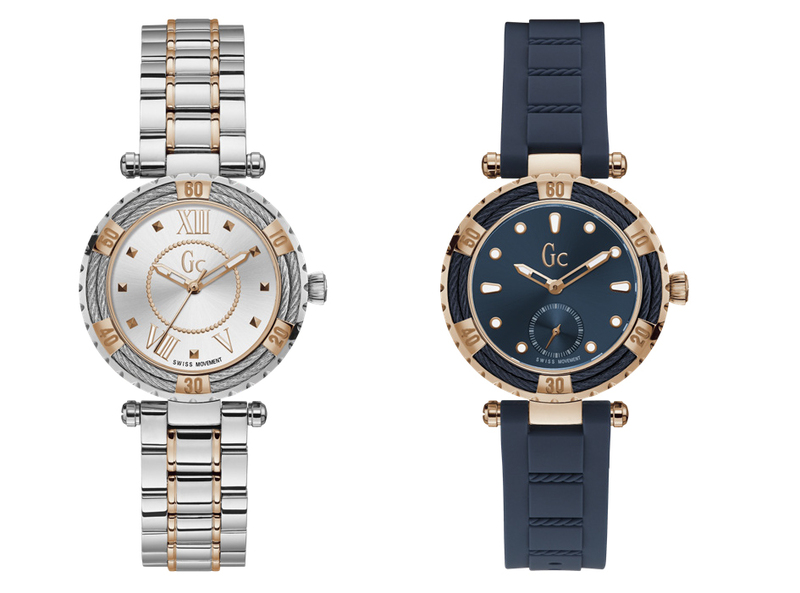 Main features from the Gc AW18 range include the new Gc LadyDiver Cable for her, with a sporty silhouette and its signature attachment and diver bezel, highlighted by the now iconic twisted cable detail in steel and rose gold. 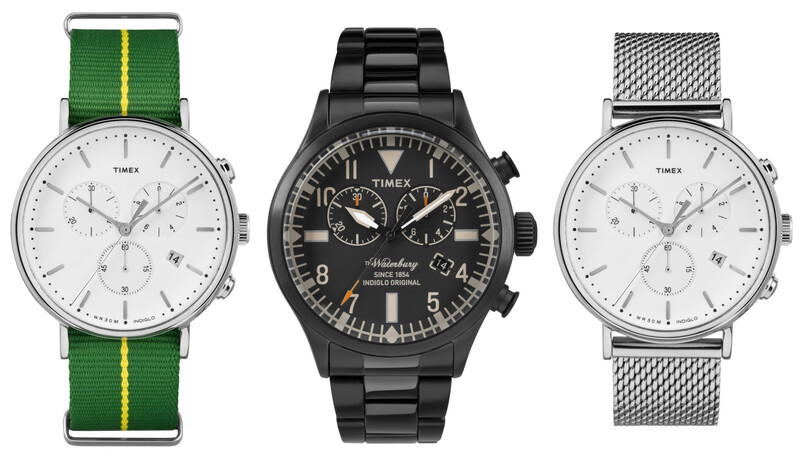 For men, Gc previewed the Gc UrbanCode boasting a bold silhouette heightened by salient squared chronograph pushes and robust crown protector. 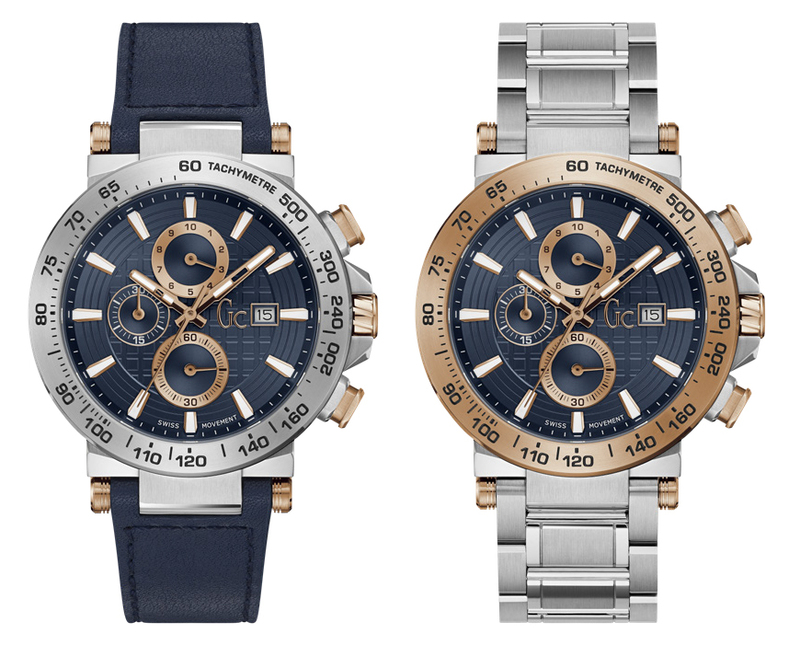 The contrasting colours of the dark blue dial, tan leather strap and rose gold PVD case make this a truly stand-out piece.